In this opening chapter, I explore how cultural practices during the Age of Anatomy reveal a profound shift from corpses as objects of reverence or revulsion to a specialized understanding marked by the term “cadaver.” This shift toward the dead body as something useful signals a sharp rise in medical authority and required the growing concept of a depersonalized cadaver that served as a resource for public good. Over a century later, Gunther von Hagens’s wildly popular Body Worlds exhibition offers a modern instance of the eighteenth-century anatomy theater. 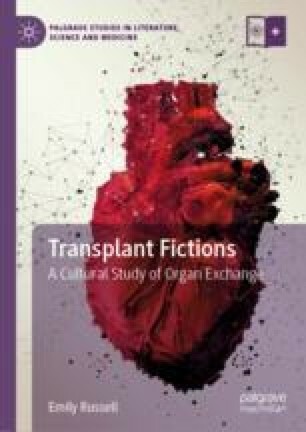 By bookending these historical and contemporary examples of public dissection, we can see how the logic of medical authority, disintegration, depersonalization, and public good contributes to a cultural acceptance of a practice as radical as transplantation.